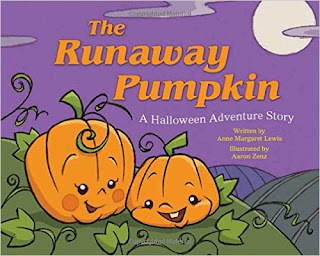 The Runaway Pumpkin: A Halloween Adventure Story by Anne Margaret Lewis and illustrated by Aaron Zenz is a wonderful Halloween book! The little Halloween pumpkin announces that he's ready to have a Halloween adventure and his mother prepares to help him every step of the way. This is such a cute book about how mothers are always there to help their children and on each page you can see the mother pumpkin watching over the little pumpkin while he goes on his adventure. The little pumpkin flies on a witches broom, visits a haunted house, and dances the night away. The illustrations are beautiful and each page is filled with colorful Halloween scenes that are sure to prepare for the upcoming holiday. 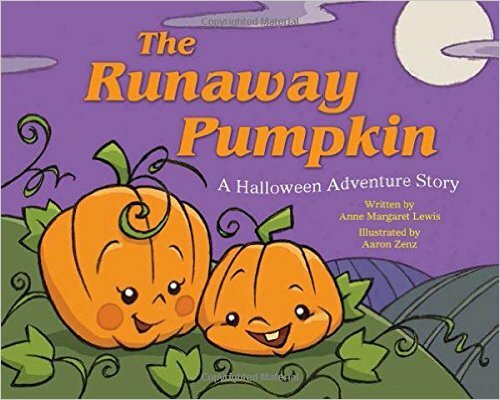 You can find The Runaway Pumpkin: A Halloween Adventure Story on Amazon, Barnes and Noble and at other bookstores.